A great place to call home! 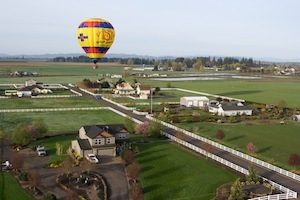 The Willamette Valley is a complex wonderland. Each region has much to offer & is uniquely different. Vineyard covered hills and fertile farmland valleys dominate but they are highlighted with rivers and streams and creeks. The Willamette Valley is located within close proximity to the metropolitan areas of Portland and Salem, a short distance from the mountains, and is an hour’s drive from the Oregon Coast. Beautiful location and diverse amenities — the best of many worlds! Please take the time to explore the communities in our area and experience just a taste of what each offers. It is our hope to provide you with enough resources that you can get a true feel for what it is like to live here in Oregon’s beautiful Willamette Valley.